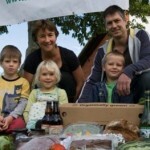 f3 has wide experience of helping facilitate community food projects and community businesses. Several f3 members have helped to establish leading UK examples of community enterprises, learning much about legal structures, governance, business planning and social integration, from the coalface! We have skills both in managing participation from the grass roots up, as well as understanding how to set up and run a community business. Contact Nick Weir for a free 15 minute consultation. 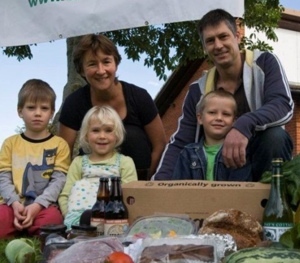 Nick Weir has facilitated this innovative community food hub project since its inception. It is now recognised as successful model. The open source Storudco software has been downloaded by over 100 other enterprises which are setting up successful food hubs all over the UK and abroad. Stroudco Food Hub is a not-for-profit grocer bringing together an ever-expanding and exclusive range of locally produced artisan food, drinks and more. Weekly order cycles can be made online, and collected or delivered to the door. 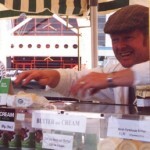 Over 80 small-scale local producers find a route to market through the hub, and for some this is their only outlet. It is set up as a co-operative of producers and consumers. The Stroudco manager is paid £10 per hour and is supported by a voluntatry management group and volunteers help sort and pack orders. 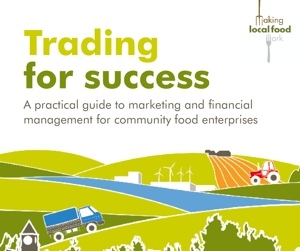 Simon Michaels wrote this indispensable guide for community enterprises, jointly with Maurice McCartney, under the Making Local Food Work programme. • How to keep adapting and innovating to meet new challenges. 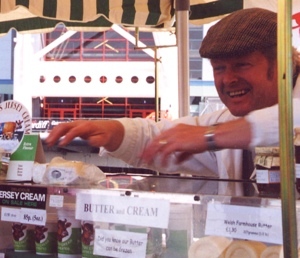 Since 1999 f3 has been offering practical help to start up community enterprises, and helping with the transition from food ‘project’ to food ‘business’. Community business are unique, in finding the balance between social values, and hard commercial truths. f3’s advisors have all run their own businesses, so bring years of real experience to the table. This research report, prepared for the Making Local Food Work programme, explores how mutually beneficial relationships between community enterprises and private businesses could strengthen the food sector of tomorrow. 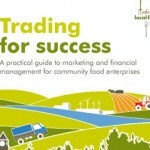 Many community food enterprises face the major challenge of becoming an efficient business. At the same time, many private sector businesses are seeking ways to become more socially and environmentally ethical. Collaboration could suit both parties in achieving their separate aims. 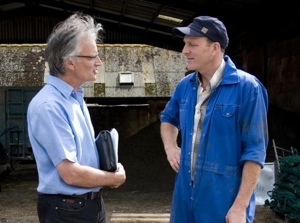 This report explores the business narratives of a limited number of different community food enterprises from the UK and other countries, and highlights the benefits and potential pitfalls of collaborating with the private sector. The collaboration experience of each of these community food enterprises provides valuable evidence that could help to shape the future of other like-minded enterprises – from well-established organizations to ones that are just starting out. In 2014 Stroudco Food Hub and three other local food hubs secured funding to adapt the open source Open Food Network (OFN) software that was developed by the Open Food Foundation in Australia. 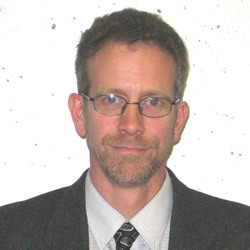 f3 and Stroudco director Nick Weir has taken on a key UK development role for OFN. OFN’s vision is to enable independent enterprises to be connected in an infinite combination of relationships using a flexible and independent online system. Instead of building software for one hub, it taps into the power of networks linking together shoppers, independent retailers, groups of farmers and food co-ops/hubs.